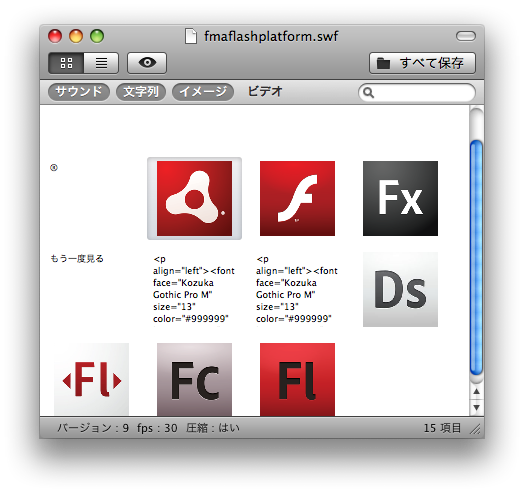 Flaex is a swf(Flash movie) extractor for Mac OS X. 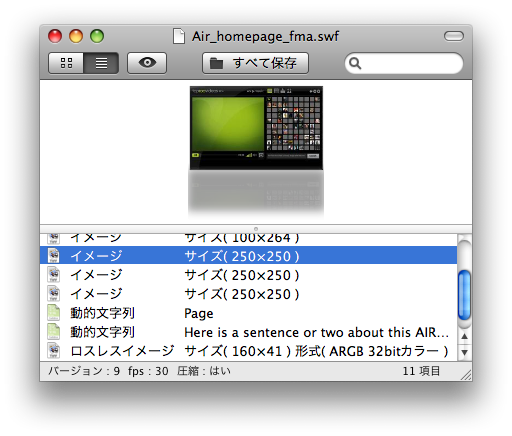 It extracts images, sounds, videos, etc... from any swf file. 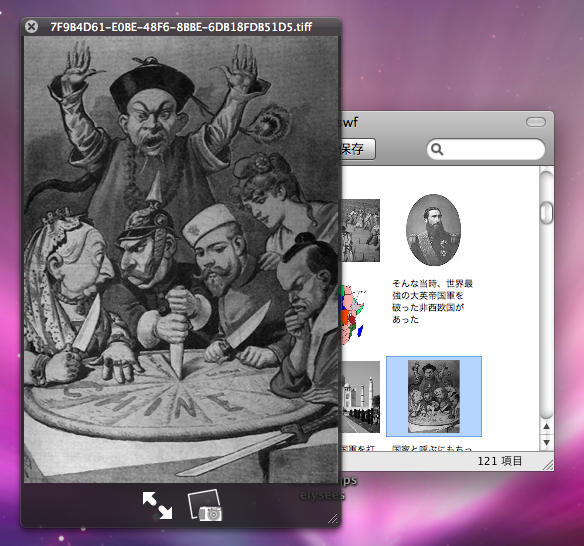 Flaex 0.4 is not compatible with Snow Leopard (10.6). Use 0.4.2 instead. Video extraction is supported in ver.0.3 or greater. You must agree with the following licence. Flaex is a freeware, but I keep author's copyright. You cannot redistribute this app without permission. I assume no responsibility for any troubles caused by Flaex. Drop an item in Finder to export it. You can preview items by using Quick Look. FLV playback requires a FLV codec like Perian. flv.qlgenerator is also needed to play FLV in Quick Look panel. Flaex cannot extract resources from FLV files, just exports video resources to flv. Fixed: Quick Look didn't appear in certain condition. Bugfix: FLV couldn't be exported from a certain type of file. Bugfix: "Cancel" button in "Save All" sheet didn't work. Displays progress bar while loading. Added "Combine streamSound with FLV" Option. Display item count while loading. Extract stream sounds in sprites(movie clip). Fixed a bug in "Save All" operation. Fixed JPEG image extraction routine. Added PCM support (saved in AIFF format). 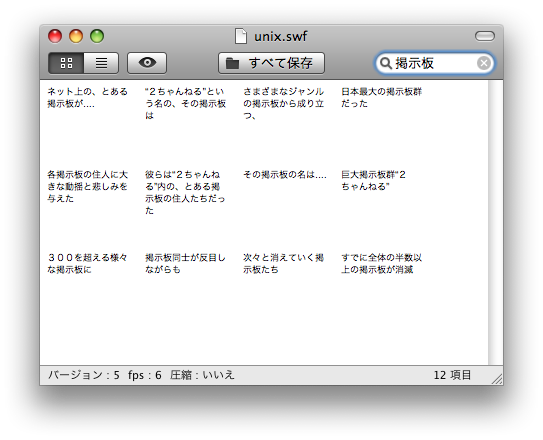 Added "Open SWF in Browser..." in File menu. Now you can choose image format from PNG or TIFF.